On this day in 1983, President Reagan announced a change in the country’s defence policy. Hitherto relying on a launch-on-warning (aka fail-deadly) response to attack – Mutual Assured Destruction – the US switched to a stated position of defending the country, not attacking an enemy: the Strategic Defense Initiative. Since the previous strategy had relied on a superabundance of ballistic nuclear weapons, the idea being that even if only a small percentage got through, the damage to the other side (the Soviet Union, generally) would be so great that nobody would even countenance a nuclear war, the new one needed something conceptually equally awesome. What was proposed was an umbrella of defence over the whole country, provided by tactical weapons able to bring down any incoming missile before it found its target. To achieve this the US proposed stationing some of its defence systems in space, hence the nickname Star Wars. Whether the initiative was truly part of a switch from quasi-offensive MAD to the defensive is moot – critics suggest that putting missiles in space, defensive or otherwise, just moves the arms race into space. Either way the announcement was largely a publicity exercise – no SDI system has ever been put into operation, nor do scientists believe one is yet possible, though the injection of government money into strategic weapons shield research has undoubtedly given the US an edge in the realm of advanced missile defence systems. A long time ago in a culture far far way, the progressive 1960s yielded to the conservatism of the 1970s. This change expressed itself in a variety of ways. In music it was punk – an effort to re-assert the diminishing dominance of rock’n’roll, which had ceased to evolve ten years earlier, and which now referenced only itself. In movies the focus went even further back in time, to the comforting good v evil space operas of the 1930s, Flash Gordon being a prime visual inspiration for George Lucas’s tale of a simple boy who discovers he is in fact the bearer of incredible gifts, gifts which will aid him in his forthcoming fight with the fount of all evil, somewhere up in space. 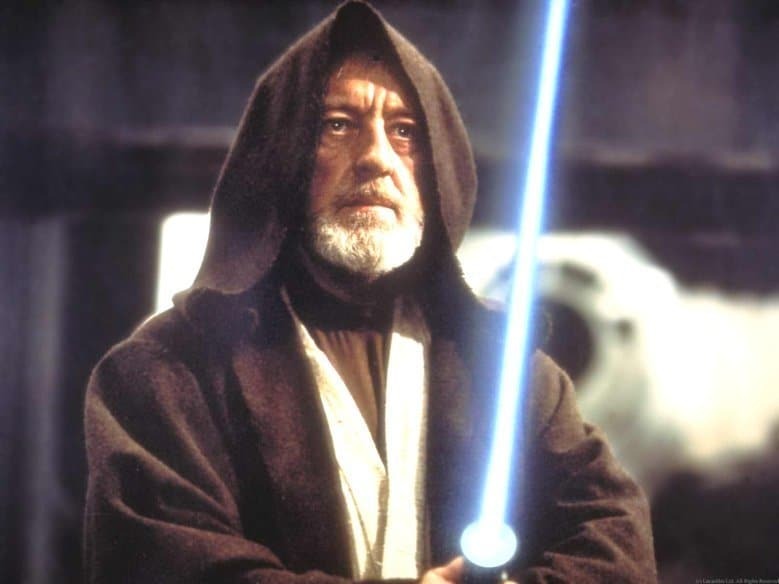 If the story is elemental – it’s the same plot as Lord of the Rings and Harry Potter – that’s because Lucas was drawing on memes (eg angels falling to the dark side) going back to the Bible at least. Lucas had read Joseph Campbell’s seminal work of comparative mythology The Hero with a Thousand Faces, which makes the claim that most myths from all epochs and geographical regions share the same basic “monomyth” structure (hero goes somewhere magical, wins a victory, returns with new powers). So Luke Skywalker’s is the Jesus story and the Buddha story too. Lucas adds elements from Kurosawa’s most successful film at the box office, samurai actioner The Hidden Fortress, a touch of Freudian psychology (Skywalker’s oedipal mother-love is transferred to his sister; the film is awash with father figures he has to struggle against), some camp robots at the comedic fringes, a shitload of special effects, and voila, in terms of business and film culture probably the most important film of the past 50 years. Trivia: Luke Skywalker joins forces with a Jedi Knight, a cocky pilot, a wookiee and two droids to save the universe from the Empire’s world-destroying battle-station, while also attempting to rescue Princess Leia from the evil Darth Vader.